Keeping your family safe on the roads – SAFE rides are GREAT rides. 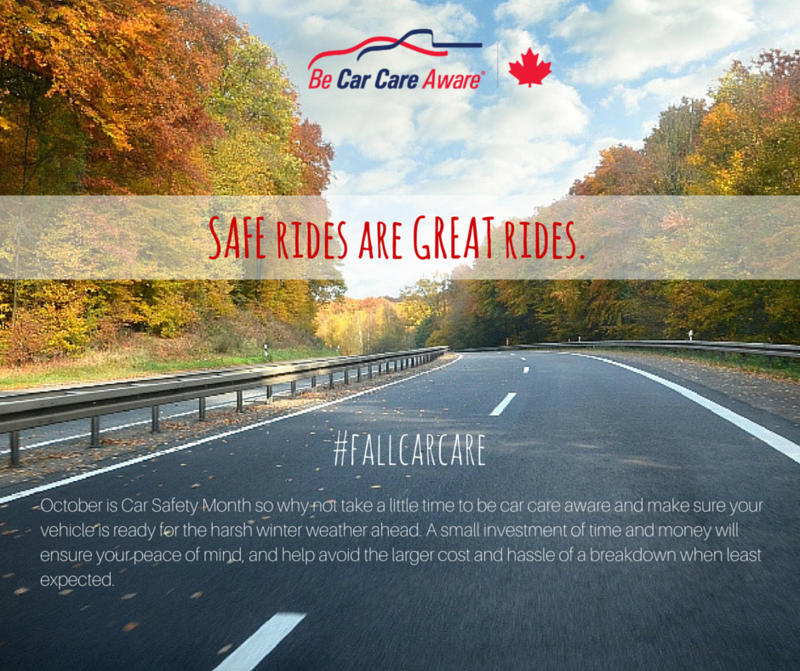 October 8, 2015, Ottawa – October is Car Safety Month so why not take a little time to be car care aware and make sure your vehicle is ready for the harsh winter weather ahead. A small investment of time and money will ensure your peace of mind, and help avoid the larger cost and hassle of a breakdown when least expected.